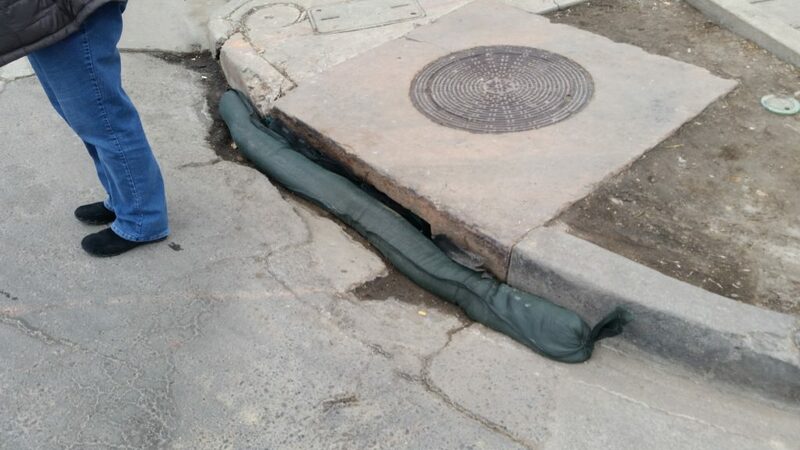 “Inlet protection devices intercept and/or filter sediment before it can be transported from a site into the storm drain system and discharged into a lake, river, stream, wetland, or other waterbody. These devices also keep sediment from filling or clogging storm drain pipes, ditches, and downgradient sediment traps or ponds. Nothing wrong with sediment control BMPs, as they are necessary tools in an effective erosion and sediment control system. However, these do not “filter” sediment. When properly installed, these allow for ponding of water which allows larger sediment to settle out, keeping it out of the storm system. This is a good thing, but doesn’t necessarily prevent water quality non-compliance. In my world, where we have to meet a turbidity effluent limit of 25 NTUs, stabilization and stormwater management are the primary methods used to meet strict turbidity limits. I originally submitted this abstract for the 2019 IECA Denver conference . It was not accepted as a presentation but as an article in the October 2018 edition “Environmental Connection Magazine”. Sediment tracking from construction sites onto public roads and highways is a continual source or frustration for both regulators and contractors. The standard best management practices (BMPs) available, such as stabilized construction entrances and sweepers, often don’t work at all and, at best, only reduce total sediment by 30-50% which is inadequate for preventing water quality violations. In addition to water quality problems, sediment tracking onto roadways can generate dust, which may violate clean air standards and cause unsafe conditions, especially on highways. Each method will be discussed with pros and cons, design information and contract specifications. Environmental Connection, October/November 2018, Volume 13, Issue 4. The article is attached below.